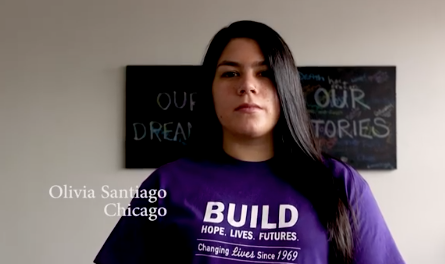 BUILD highlighted on WGN's "Chicago's Merry Own" - BUILD, Inc.
WGN’s “Chicago’s Merry Own” segment recently featured BUILD community social worker Olivia Santiago! Watch the video here as Olivia shares her experience at BUILD’s holiday gathering where we are able to provide dinner and gifts for nearly 100 youth and their families. We are proud to have Olivia as part of the BUILD family!